Bahria Golf City Karachi is designed after Emirates Hills Dubai as claimed by Bahria Town and its layout design is also given in the newspaper advertisements. Bahria Town offers 27 Hole PGA standard Golf Course for the Golf Loving Community, which is the most appealing feature of this project. The idea of living near a Golf Course may sound bizarre to a majority of people, but it certainly appeals to a certain class of our community especially overseas Pakistanis for whom Bahria Town has carved out this exclusive project. Bahria Town has already launched its Golf City Projects in Islamabad and Lahore, whereof Islamabad Golf City is the most expensive and most lucrative project due to captivating features and hilly expanse on Murree Expressway. Golf City Karachi is the next jewel in the crown of Bahria Town which is much acclaimed across the country. Bahria Golf City offers 1 kanal, 2 kanal and 4 kanal residential plots. Bahria Golf City offers a 4 year flexible payment plan with around 25% down payment and remaining to be paid through quarterly installments. Golf City Karachi is located in the central area of Bahria Town Karachi with easy access from 400 ft wide jinnah avenue. It has been given precinct no. 20, which is the largest precinct in Bahria Town Karachi encircled by Precinct 12, 11, 27a, 21, 22, 23, 24, 25 and 26. Down payments are given above, while remaining amounts will be payable in 16 equal quarterly installments. Bulk deals of these plots are selling at some profit in the market and big investors are fully involved in its sale and purchase. Since Bahria Golf City Karachi bookings have launched at much higher prices as compared with older launches, there are chances that profit will add up for a couple of days or weeks, and then it will all come down to normal or negative. Those who have had bad experience in Bahria Golf City Lahore, they think it is another replay of same story. Some people also term it like another Bahria Enclave 2 Islamabad. 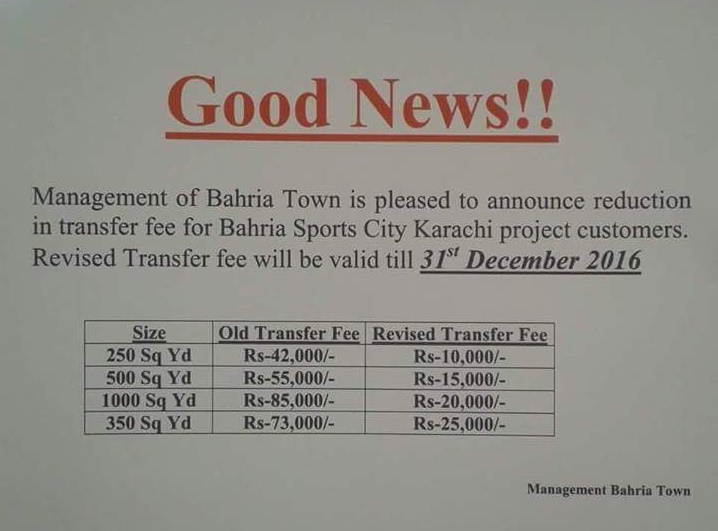 Those who know how bahria market works, they don’t much worry about market gossips. Most of them have already purchased bulk of these files, and many are still doing it. As long as there is demand for this new booking, profit will keep adding up. So you have to be very careful while making this investment.